Yes, here it is. Every night, pretty much, from tonight through to the Final on Sunday February 4 sees Twenty20 cricket dominate prime time TV and lounge rooms Australia-wide. The seventh edition of the Big Bash League will be the competition’s longest yet, running to 43 days in total. And though the BBL head honchos have been very quick to put the lid on any talk of expansion talk for future seasons, it’s hard to see the taking of games to Launceston, Canberra, Geelong, and Alice Springs any other way. Canberra, positively desperate for a team of their own, has already sold out their one-off Manuka Oval match on January 24. Crowds are healthy all around the nation, so why wouldn’t the new venues be the same. Last season’s big hits in a literal sense, the Brisbane Heat will again trot out Chris Lynn and former New Zealand skipper Brendon McCullum, and motorists on Vulture and Stanley Streets around the ‘Gabba should beware. The Heat have picked up teenage Pakistani spin sensation Shadab Khan, who could form a nice combination with Mitch Swepson, while discarded Test openers Joe Burns and Matt Renshaw will be looking for time in the highlight reels. They might be a bit light on with seamers, but we’ll find out soon enough. Which Sydney Thunder team will we see in #BBL07? The reincarnation of the Champions from two seasons ago, or the mob that have run last four times in six seasons? Shane Watson returns to our screens as Thunder captain this summer, and is in decent nick in Sydney grade cricket, reportedly. Callum Ferguson could be a handy addition, and so will English bat Joss Buttler for the six games he’s available, and New Zealand quick Mitchell McLenaghan. Probably won’t see much of Pat Cummins, but could easily get Usman Khawaja back after the Tests. I wasn’t enthused by the Sydney Sixers last summer, and I’m not again this season, having named a similar squad. There’s no Brad Haddin this season, but they will have English pair Sam Billings and Jason Roy for the first four games. They can forget Mitchell Starc, and might lose Sean Abbott to international duty, though they might get back Nathan Lyon back. Plenty of handy players like Stephen O’Keefe and Moises Henriques and Peter Nevill, but they just don’t look threatening enough to me. Sixers fans should be thrilled now, given my tipping form. Last season I seem to recall having reasonable hope for the Melbourne Renegades, and I think that same reasoning carries through to #BBL07. The additions of Brad Hodge, ‘keeper Tim Ludeman, and quick Kane Richardson from Adelaide could be very handy, and will help offset the inevitable loss of Aaron Finch to Australian duty in the back half. Dwayne Bravo is back, and red-Melbourne might’ve struck gold with no.3-ranked ODI allrounder, Afghanistan’s Mohammad Nabi, who will play six or seven games before being replaced by Kieron Pollard. I haven’t even mentioned Cameron White yet, who will become very important when Finch goes. No James Pattinson (again), but Richardson definitely helps there. Is this the year for the Melbourne Stars? Every year is the year for the Stars! The perennial BBL beaten semi-finalists, the Stars will be there or thereabouts once again. They may well lose Glenn Maxwell and Peter Handscomb to international duty, and the likes of James Faulkner, Marcus Stoinis, and maybe even Adam Zampa might on the fringe, too, but they will still have big John Hastings, Luke Wright, Kevin Pietersen, Scott Boland and Ben Hilfenhaus. Ben Dunk is an excellent addition to an already decent squad, so the reasons for green-Melbourne optimism seem well justified. Is this the year for the Hobart Hurricanes? Well, no, probably not. Their fortunes look rather dependent on the blade of George Bailey this season, and Tim Paine’s availability would seem to be in some doubt. And I reckon Hobart knew this, hence the proactive trade to bring state-gloveman Matthew Wade into the purple. English left-arm quick Tymal Mills brings a better-than-decent T20 record with him, and there are some raps on uncapped West Indian allrounder Jofra Archer, too, as the Hurricanes look to move on from the less-than-productive stints last year of Kumar Sangakkara and Stuart Broad. Interestingly, no-one seems to give the Adelaide Strikers much hope this season, fuelled largely by the losses of Hodge, Richardson, and Dunk. 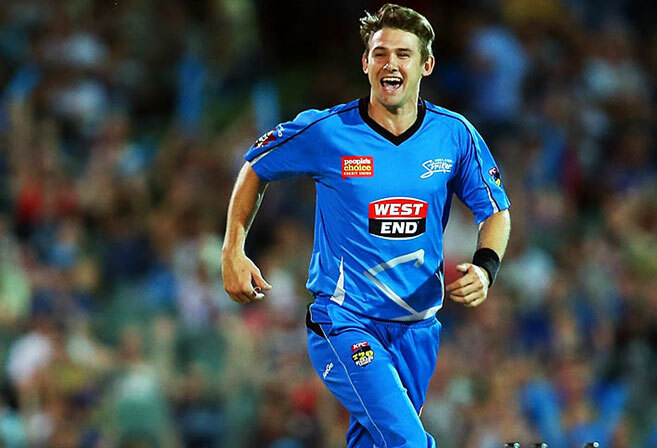 But the Strikers have gone with youth for #BBL07, and the likes of Jake Lehmann, Alex Carey, Jake Weatherald and Travis Head are all in decent form with the bat this summer. Peter Siddle brings a bit of experience to the bowling attack led by Billy Stanlake and Ben Laughlin, while 18-year-old Afghani off-spinner Rashid Khan will be one to watch. Former South African batsman Colin Ingram joins the Strikers after dominating the English T20 scene for the last couple seasons. And that just leaves last year’s Champions, Perth Scorchers. The BBL’s most successful team, with three titles and another two Final appearances, the Scorchers will bring a significant chunk of last year’s squad, including Mitchell Johnson and England allrounder David Willey into season seven. Michael Klinger is their go-to with the bat, but he’s no lone hand, with Shaun Marsh and Cameron Bancroft likely to return after The Ashes series, though WA captain Mitch Marsh is almost certain to feature in the limited overs circuit. The unheralded names – Andrew Tye, Ashton Turner, Hilton Cartwright, Jason Behrendorff, Jhye Richardson, and even the returning Adam Voges – will determine how well they go this summer. And it is guess, don’t be fooled otherwise. I looked at three different season previews before I started putting this all together, and saw three different winners predicted. The one token sports betting mob I looked up had a different team again as favourite. So the way I see it, I reckon Perth, Brisbane, and the two Melbourne sides finish in the top four. These sides look the most balanced, and will either be less reliant on any one player or are well-equipped to deal with unavailability. Adelaide, both Sydneys, and Hobart look like they’re lacking in a few key departments, and a bottom four finish looms. If there’s a smokey to sneak into the semis, it’s probably Adelaide, and maybe at the expense of Brisbane. TUESDAY – Sydney Thunder v Sydney Sixers, Sydney Showground The season kicks off at the ‘Thunderdome’ with the first Sydney Smash of the summer, and it’s a lottery to pick. Both sides will be missing the Test contingent, and it’s got worse for the Sixers now. Jackson Bird was to be released for the Sixers, but will now remain with the Test squad as cover for Starc’s bruised heel. The Thunder lost their warm-up game against the Melbourne Stars in Albury, and their batting already looks a concern. TIP – I was thinking the Sixers, but will stick with the Thunder now, in Bird’s absence. WEDNESDAY – Brisbane Heat v Melbourne Stars, the ‘Gabba All eyes will be on the Brisbane team sheet, to see whether Chris Lynn is named to return from the shoulder injury that threatened to derail his BBL campaign. He said last week that he’s pain free and batting again, but also admitted he probably won’t be 100 per cent. The Stars will be without Peter Handscomb, who remained with the Test side in Perth, and will remain part of the preparations for Boxing Day. Bowled very well to restrict the Thunder in Albury in their practice game. TIP – Stars look a bit strong. 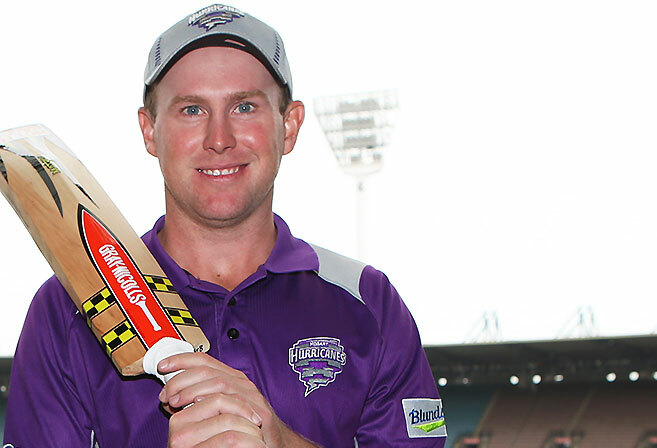 THURSDAY – Hobart Hurricanes v Melbourne Renegades, Bellerive Bailey led the way for the ‘Canes to beat the Stars in Traralgon on the weekend, and he wasn’t alone, which is a good sign. The best thing about BBL games in Hobart is watching balls being lobbed onto the hill at midwicket, and the streets around Bellerive Oval; Bailey can’t be the only purple people-eater doing that. 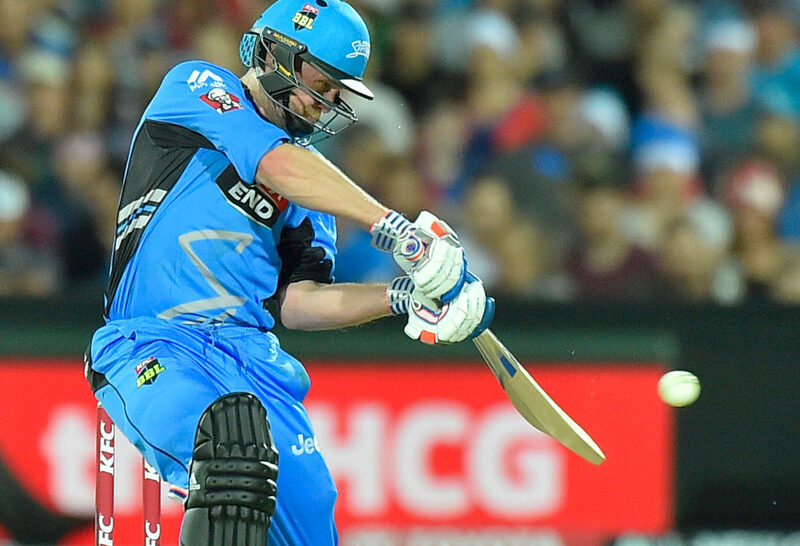 The ‘Gades, as the cool kids call them, won both warm-up games against Brisbane on the Sunshine Coast, with good performances sprinkled throughout the team, including one George Bradley Hogg, with figures of 1/19 from his four overs in the first game. TIP – Renegades look ominous.